WHILE THE WORLD’S most famous automakers were pulling the covers off their latest, shiniest offerings at the Los Angeles Auto Show, a dark gray sedan circled the convention center, almost silently. 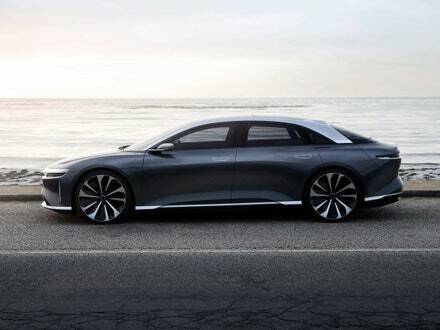 Riding on 21-inch wheels, the Lucid Air cuts a muscular stance, its door handles flush with the body of the car, one thin bar of light bars stretching across its front, another along the slightly boxy rear. Fully electric, it offers a tempting vision of the future. “This is our very precious multimillion-dollar prototype—we are super careful with this machine,” says Lucid’s Chief Technology Officer, Peter Rawlinson. But a prototype, no matter how lovely, does not make a automaker. The Air is the first vehicle from Lucid, a Silicon Valley outfit presenting itself as a new Tesla. Because, as Elon Musk will tell you, there’s quite a gulf between designing a great car and producing and selling that car. Tesla may have booked hundreds of thousands of preorders, but it’s struggling to meet demand—let alone make a profit. That’s why you likely haven’t heard of the other electric car startups that thought they could replicate Tesla’s success, like Faraday Future, Fisker, Aptera, and Coda—each is struggling or has folded or fizzled out under the immense financial pressure. Lucid, which has now built a grand total of five cars, believes it can not only do better than the other startups but also be competitive against the major automakers. Usually when I’m offered a ride in an engineering preproduction car, I want to be up front, because that’s where the action happens. But the Air—despite a claimed, grin inducing, 0 to 60 mph time of 2.5 seconds—is best experienced from the back. So I sink into one of the two seats, which recline so far back I’m gazing at the LA skyline through the glass roof, feeling like an Apollo astronaut about to be launched into space. The car is finished beautifully. The wood, leather, and felt that cover the interior are meant to invoke California’s Santa Cruz waves crashing over rocks. As luxury, tech-happy buyers now expect, there are touchscreens everywhere. The ride was slightly harsh, because despite its finishes, this is a hand built test car, without a properly tuned suspension or sound deadening. Lucid promises a range of between 240 and 440 miles, depending on which battery pack you buy. In fact, he seems relaxed about the company’s prospects, even though he admits no recent automotive startup can truly be classed as a success. “If you exclude Tesla, the last really successful startup was Porsche in the 1950s,” he says. Lucid, which is building a factory in Casa Grande, Arizona, has a slow and steady approach in mind. It will start by building 20,000 cars a year, which it calculates will require $260 million in investment. It plans to use revenue from those sales, plus another half billion, to increase production to 50,000 cars a year. It will eventually reach 130,000 cars a year, bit by bit. Lucid has one big advantage Tesla didn’t have when it was getting started a decade ago: Electric cars are no longer an odd, ignored corner of the market. Countries from India to Germany to Norway have announced plans to ban gas and diesel engines in the coming decades. In China, the world’s largest auto market, government regulators are mandating the sale of electrics on a wide scale. 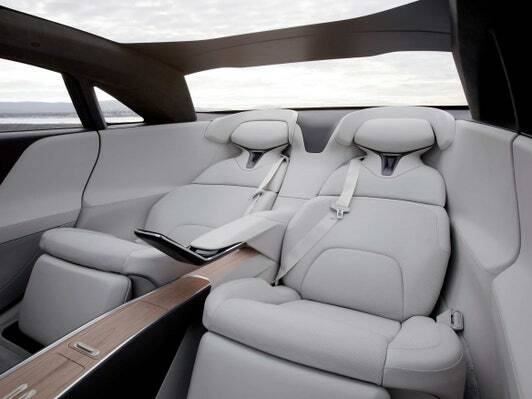 The country also has a taste for large sedans with luxurious back seats, if you were wondering why the Air’s second row offers more room than a first class plane seat. Together with an alluring vehicle and a tech-heavy team with a proven record, Lucid seems to have a plausible business plan. In a few years, that could be enough to get the new automaker to the point of taking reservations inside the auto show, instead of looping around the edges.